Experience a dolphin safari like only Key West can offer! With the Wild Dolphin Encounter and Snorkel tour, six lucky guests get to experience our most intimate and awe-inspiring dolphin experience available anywhere in the Florida Keys! With Captain Gary and his team leading the way, you and your group will go on a Key West safari that takes you through the calm blue-green waters of the Gulf of Mexico and out to the famous Dolphin Playground. After interacting with the local Key West dolphins, the trip will take you out to the coral reef where you will get the chance to snorkel in one of the country’s only living coral reef sites. Key West is one of the best cities anywhere in the country from which to see wild dolphins. You can simply stand on the shoreline and probably catch a glimpse of one or two. 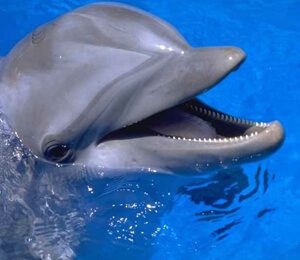 But the absolute best way to really see these wonderful animals up close is by going on the Wild Dolphin Encounter. On our small, center-console vessels, we will take you out to the area in the Gulf of Mexico that is named the Dolphin Playground because of the high number of dolphins that populate these waters. The chances of seeing wild dolphins in the Dolphin Playground are extremely high, and the best part is that these dolphins are very friendly and oftentimes come right up to the boat for some truly unbeatable picture moments! After seeing the Key West dolphins, playing wild and free in their natural habitat, we ride out to the coral reef! We provide all snorkeling gear, instruction, and even floatation devices to help you in the water! Snorkeling is fun and easy, so even if you have never actually snorkeled before, you will see just how easy it is! You will be snorkeling in no time and exploring the beautiful world of reef fish and other marine creatures that live among the coral. Captain Gary and his passionate team of tour guides will be sure to provide you with the kind of Dolphin and Snorkeling experience that you will not forget!